The use of the word “authentic” is at an all time high, rising steadily since its lowest appearance in 1930—the year of the Great Depression. Interesting. Is authentic connected to economic prosperity? I think so. People trust it, trust what you are selling, trust your voice. The definition of authentic is not false or copied, reliable. I struggled with this concept of not copying others. Childhood authority figures pressured me to go along with the crowd, not speak my true thoughts and emotions, or if I did, I better be “perfect.” Authentic is not perfection. It’s about dynamic choices made in the moment. Authentic is reliable. You do what you say you will do, you show up. When we say we will do something and we don’t do it, we are not as vibrant. There’s an energetic reason for this. We say one thing and do another, so all of us is not present; part of us has gone some place else where we said we would be. Fear – If we hide, hold back, choose safety, we may be owning our authentic selves. Most of these obstacles below are linked to this. 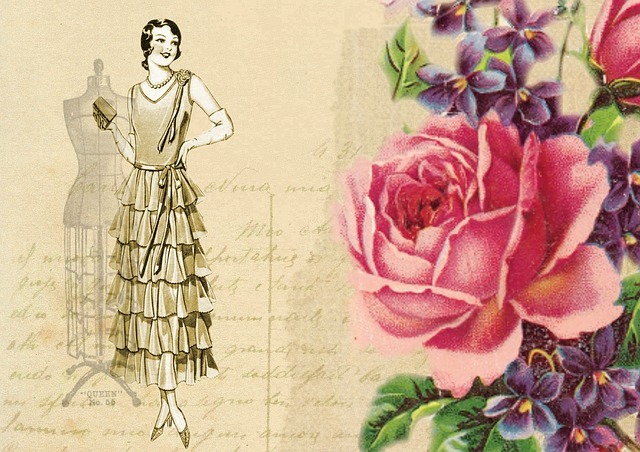 Old Habits: I learned to hold back–my words, emotions, out of fear and then habit. But authenticity means allowing something real to emerge out of the void. Not tuning into our heart or listening to our gut. As a teacher, I can teach from the mind or I can teach from the mind and heart. Tuning into the heart means we are not in control of everything because we are opening up to others. Tuning into the gut means listening to the deeper senses, not just the mind. Authenticity taps into the mind, heart and gut. Perfectionism: When I started out in writing and teaching, I thought I had to be perfect and planned before anyone saw my work. This is a trap. No one is a perfect teacher when they begin teaching. You begin and learn along the way. You can plan all you want, but you can’t predict what any group of students will be like on any given day. If you want an authentic class that is interested and not just regurgitating back information, you have to move with the flow, risk being out of the controlling mind and more into the creative imagination. When we start out doing anything, we imitate others’ styles. When I began teaching, I copied others that I saw. I didn’t know what my own teaching style was; I lacked confidence and experience to practice my own style. Same thing in my writing. 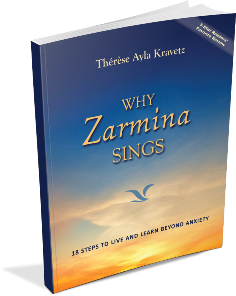 In my first book, “Why Zarmina Sings,” I wanted it to be raw, honest, but I wanted perfection too. I wanted to hide behind the work. I’m proud of that book, but it took so long because I was afraid of criticism. 1. Realizing you have these fears can begin the process of untangling them. 2. If you want to get rid of fears, I have many techniques in my book. EFT Tapping is one resources and I’m attaching a great book I recommend for Tapping here. 3. Rewire your brain by doing that thing you fear. You can start small. For example, if I am afraid to speak my mind, I start small and post something on Facebook that may be ignite controversy but is my truth. Taking that one little step rewires the brain and senses making the next time easier. 4. Play. As kids we didn’t feel the need to be perfect at least during our playtime. We were just playing, trying things out, experimenting in the moment. Make space in your life and in your day for play. It allows you to explore the limitless void that is creativity and will feed your authentic self. 5. “I don’t know.” Such powerful words. We don’t know how our books will end when we begin them; I didn’t have a plan for this blog post except a topic. And I don’t like the idea that teachers are supposed to know everything. We need to help students get to the answer themselves. 6. Show Up. This is the part of the definition to authentic that is “reliable.” I showed up to the page to write my book every day almost, for 20 minutes or an hour, or two. But I showed up regularly, reliably. This allowed me to create and to be authentic on the page and find my voice. I showed up to class as a teacher for years. Most days I was anxious, but I kept showing up reliably and I eventually found my voice in teaching. 7. Unlock the Heart: Tap into the raw energy of your passions. There is so much to say on this topic and there is a mysteriousness about it, but we can do more when our hearts are engaged. When we love something, we are not just turning on the brain, we’re activating the senses, the ability to connect to others. There are more tips on how to connect to the heart in my book. 8. Release the tension in your voice. I spent years unlocking tension in my voice and body to express a more authentic voice. If this is interesting to you, see my free booklet when you subscribe to my newsletter. It offers many exercises I’ve used for myself and with my students. 9. Practice Authentic in a Safe Place: Write a journal before you write your blog, experiment with your writing in a safe group, experiment with “teachable moments” if you are teacher. Don’t be afraid to step away from the daily curriculum when someone has a problem or question. It’s so hard when we have deadlines, testing requirements, but so rich when we can stay open to the flow. 10. Give that thing, that quality you want, to others. If you want to speak your truth, accept it in others. If you want to be an artist, show others how to be an artist. If you want more freedom in your life, give it to others in your life. If you don’t want to be restricted with perfectionism, don’t expect it of others. I spent my days, and weeks and years helping immigrants find their own voices in speaking and writing English. It led to writing a book about it, which led to finding and connecting to my own voice in writing and speaking. This was exactly what I had always dreamed of as my passion: freedom to express myself creatively. And it helped to give it to others first. It opened up my own heart. The part that is uniquely you and that reminds others of their own brilliance is that authentic part, not copied, reliable, trustworthy. For me, it is that part I want to dig for and be. It’s that part that is not boring, but cutting edge. Let me know how you live a more dynamic authentic life and if this article has inspired or helped you, please share with others.